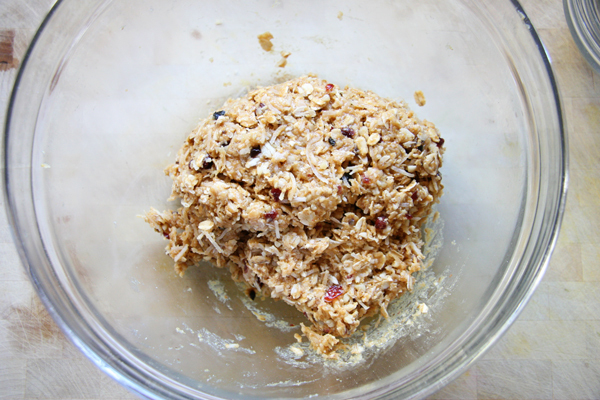 Here's a quick, all natural little snack we've been munching on around our house that I thought you might enjoy. 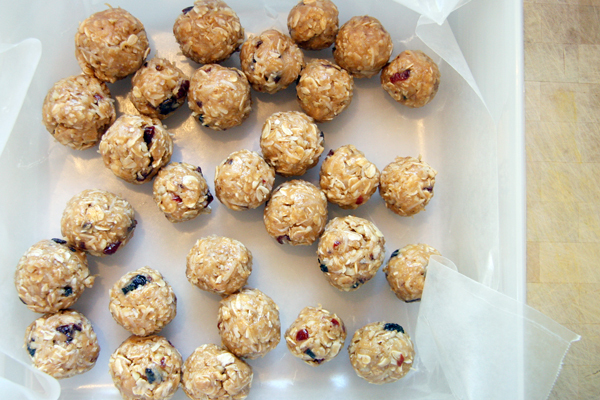 They're no-bake, all natural energy balls/bites. I first saw them on Krista's blog where she talked about how delicious they were. I pinned her pin to my pinterest board and finally made them myself, you can find the original recipe at Food Doodles. I stayed close to the recipe but a few slight changes. 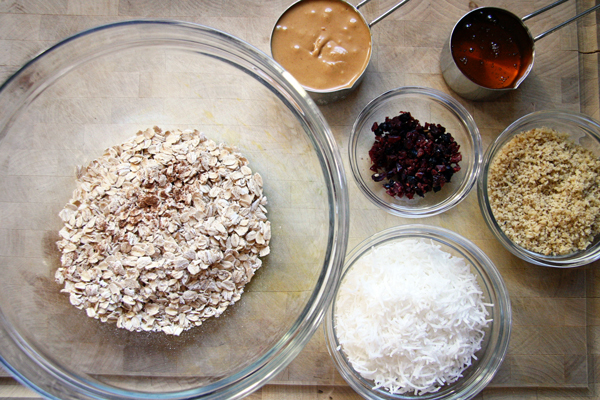 You mix the peanut butter and honey together, then mix in the rest of your ingredients. Refrigerate for at least 30 min. 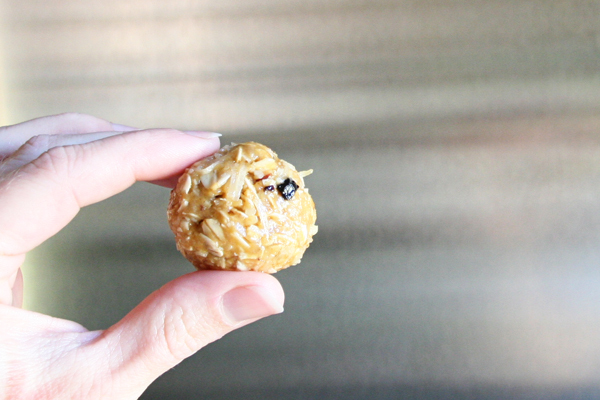 and roll into little bite-sized balls - I got 30 out of them. I stuck them on some wax paper in a tupperware dish in the fridge and they lasted about 5 days. I'll be making a new batch tomorrow and trying the frozen version, Heidi, mentioned. those look yummy, I'm gonna have to try em! Definitely going to make these. I have been looking for a new granola type recipe. these look yummy! I just made energy balls I found here:http://paynekitchen.blogspot.com/2009/04/energy-balls.html that look similar to your recipe and they were so good! Just made these and I'm excited to eat them! The thing I love about them already... You use all the measuring cups in the set, but nothing sticky that gums it up when you have to re-use it. Haha! Do I need to substitute anything for the coconut? I'm not a huge coconut fan and I wasn't sure if I would need something else to help them bind together.